Tis the Season, believe it or not! Time to get cracking on those Christmas cards, in this class I will show you how to make four clean and simple designs that will be quick and easy to reproduce for the holiday season, plus a bonus Halloween card! 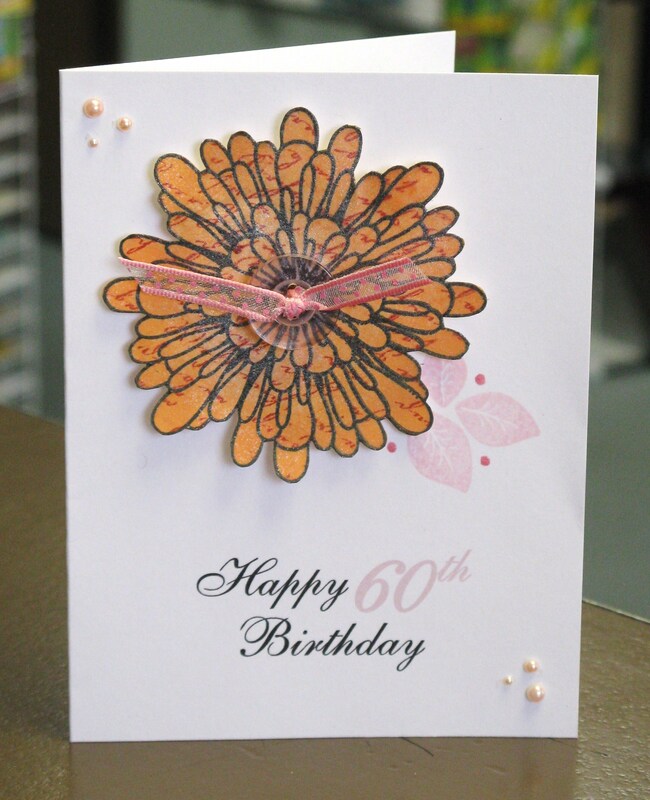 I’ll show you two easy ways to use your heat embossing tool with liquid applique and embossing powder, this is a perfect class for an inexperienced stamper or even seasoned pros who prefer the clean and simple look! Suitable also for children ages 8+. Stamps used: A Muse Marigold, Leaf Trio; Hero Arts Old Letter Writing; computer generated sentiment. The second card is one that I brought out to Seattle in October to give Linda for her birthday – Linda is the owner of A Muse and it was such a pleasure to meet her and become part of the A Muse family. I was tickled to find out that Linda’s great grandfather is actually from St. John’s – small world, hey!? 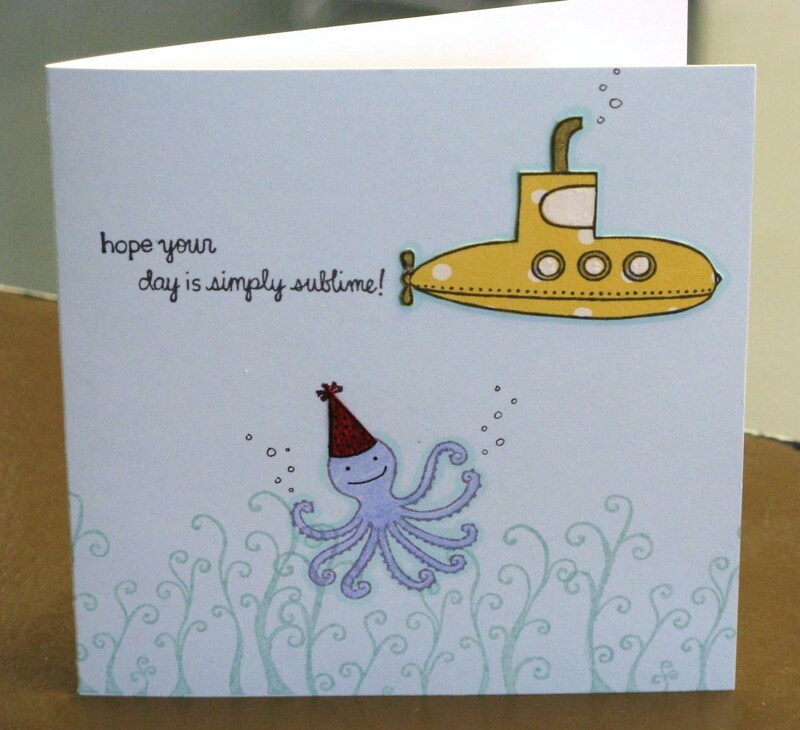 A Muse stamps: Octopus, Seaweed, Tiny Hat, Submarine, Simply Sublime. Love that Octopus, as you can tell from my Blog header – I had my friend Erin design my header around the A Muse Octopus, and thought it would be cute if his little mouth was an “o” of surprise, after making such a mess with the ink. The Octopus was designed by A Muse Illustrator Nina Seven, who draws many of my favourite A Muse images. Cute cute cute!